A Web-based seminar will be presented at 1 p.m. Oct. 20 by Penn State Extension and will examine the need for and performance of compressor stations in natural-gas pipeline delivery systems. A pipeline system in states like Pennsylvania, underlain by the gas-holding Marcellus shale, is rapidly expanding to transport gas from the thousands of wells drilled into the mile-deep formation in the last few years. “In my talk, I will try to offer a basic understanding of gas compression,” Wininger said. “There are different types of compression units and I will cover them. It is necessary for the gas industry to compress gas for transport in pipelines. The webinar is part of a series of online workshops addressing opportunities and challenges related to the state’s Marcellus Shale gas boom. Information about how to register for the session is available on the webinar page of Penn State Extension’s natural-gas website at http://extension.psu.edu/naturalgas/webinars. For more information about the webinar, contact John Turack, extension educator in Westmoreland County, at (724) 837-1402 or by email at jdt15@psu.edu . The number of drilling rigs in the Marcellus Shale regions of Pennsylvania is approaching two thousand (2000). Reports note that over one thousand and eight hundred gas drilling rigs (1800) have been placed in operation. Industry leaders are touting the great positive economic impact of the expanding natural gas industry. Hundreds of new Marcellus Shale gas drilling rigs are planned throughout Pennsylvania. Thr thirteen lawyers at DOUGHERTY LEVENTHAL PRICE LLP—DLP—PENNSYLVANIA TRUCK ACCIDENT AND MARCELLUS SHALE GAS DRILLING RIG INJURY LAWYERS, continue to follow this and other Marcellus Shale gas drilling issues in Pennsylvania. Reports note that construction of the 30 mile pipeline for transporting Marcellus Shale natural gas in Northeastern Pennsylvania is moving forward. Pipeline clearing, digging, routing under the Susquehanna River and other construction activities remain on schedule. Opposition in various municipalities continues and meetings are being held. The thirteen (13) lawyers at DOUGHERTY LEVENTHAL PRICE LLP –DLP–PENNSYLVANIA TRUCK ACCIDENT AND MARCELLUS SHALE GAS DRILLING RIG INJURY AND ACCIDENT LAWYERS continue to follow this and other gas drilling issues in Northeastern and Central Pennsylvania. A recent trip to New York farm country revealed an anxious number of people waiting for drilling to commence in their state. Local property owners have signed gas leases, some at rate as high as $6500/acre with 20 per cent royalties. Discussions elsewhere focused on environmental concerns especially water safety. A moratorium on gas drilling continues statewide in New York. 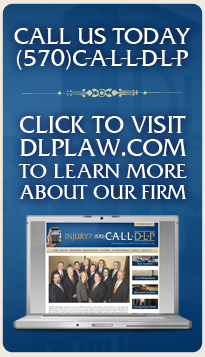 the thirteen (13) lawyers at DOUGHERTY LEVENTHAL PRICE LLP—DLP- PENNSYLVANIA TRUCK ACCIDENT LAWYERS AND MARCELLUS SHALE DRILLING RIG INJURY LAWYERS continue to follow this and other gas drilling related issues. PITTSBURGH — The U.S. Geological Survey said Tuesday that the Marcellus Shale region contains some 84 trillion cubic feet of undiscovered, recoverable natural gas, far more than thought nearly a decade ago. Tuesday’s figure is much higher than the last government assessment in 2002, which suggested about 2 trillion cubic feet of recoverable gas. The USGS said the estimate came from new information about the gas-rich formation underlying New York, Pennsylvania, Ohio and West Virginia, and from technical improvements in how wells are drilled. Environmental groups have expressed concerns that the process of extracting the gas from deep underground could contaminate the water supply. But gas industry groups welcomed the independent government estimate. “While some critics continue to question the viability of responsible domestic shale gas development, it is abundantly clear — as laid out by this new data — that the Marcellus Shale will continue to lead the way in meeting American’s energy needs for years to come,” said Kathryn Z. Klaber, president and executive director of the Marcellus Shale Coalition, an organization of energy companies that says it’s committed to the responsible development of natural gas from the shale formation and the enhancement of the region’s economy. The agency also estimated there are around 3.4 billion barrels of undiscovered, recoverable natural gas liquids. That product attracts a premium price over the natural gas. The USGS figures represent an average of several possibilities about the gas reserves, located thousands of feet beneath the surface and coaxed out of the ground through high-volume hydraulic fracturing, or fracking. The new survey suggested that the gas reserves are 43 trillion cubic feet to 144 trillion cubic feet, and the gas liquids are 1.6 to 6.2 barrels, with a 95 percent probability of the low range and 5 percent of the high range. More than 3,300 wells have been drilled across Pennsylvania in just the last few years. The boom has raised concerns about the use of fracking, which injects chemical-laced water to break up the shale and allow natural gas to escape into the shale to push out the minerals. Environmental groups and the Environmental Protection Agency worry that the process could damage water wells, poison groundwater or harm trout streams. But the industry insists it’s safe. The USGS Marcellus assessment covered areas in Kentucky, Maryland, New York, Ohio, Pennsylvania, Tennessee, Virginia and West Virginia. Marcellus Shale natural gas production in Pennsylvania continued its rapid rise in the first half of 2011, according to figures released this week by the state Department of Environmental Protection. The state’s 1,632 producing Marcellus wells pumped out 432.5 billion cubic feet of gas during the first six months of the year – a 60 percent increase from the amount of gas produced in the second half of 2010. The three counties that led the state in gas production, Bradford, Susquehanna and Tioga, pulled 260 billion cubic feet of gas from the shale – slightly less than all of the Marcellus Shale gas that was produced in the entire state in the last half of 2010. By next year, Wilkes-Barre area UGI customers should be getting natural gas from Northeastern Pennsylvania instead of other states and countries. UGI Vice President of Government Affairs Michael Love made the revelation Monday during a hearing in front of the state House Democratic Policy committee at Wilkes University. “Natural gas is the cheaper fuel today, will be tomorrow and for the foreseeable future because of shale gas,” Love said. Until recently, Pennsylvania imported 75 percent of its natural gas from other states or countries. Marcellus gas has less impact on global warming than coal, according to a recent study by scientists at Carnegie Mellon University. Article was originally published on August 17, 2011 by The Patriot News. The peer-reviewed study published Aug. 5 in “Environmental Research Letters” appears to be a direct refutation of an April study from researchers Robert Howarth and Anthony Ingraffea at Cornell University that indicated that shale gas was worse for global warming than coal. The Cornell study had a number of faults — acknowledged by its authors — including sketchy data that did not directly apply to Marcellus drilling operations. The Carnegie Mellon study looks specifically at Marcellus and the “life cycle greenhouse gas emmissions” associated with its production and consumption. Marcellus gas is essentially no different than conventional natural gas, the study found, and 20-50 percent cleaner than coal for producing electricity. The new study does support “green completions” — in which gas is captured during the earliest stages of production rather than being vented or flared into the atmosphere. Proposed shale gas rules from the EPA would require green completions. “Green completion… would significantly reduce the largest source of emissions specific to Marcellus gas preproduction,” the study says, but it adds that such emissions are a small portion of the life cycle estimates. The study’s authors said greenhouse gas emissions are not the only challenge when it comes to extracting shale gas. “We still need to study other environmental issues, including use of water and disruption of natural habitats,” said co-author Paulina Jaramillo.